So Many Stamps So Little Time: Wishing You Joy! Hello and Happy New Year! Today I have a CAS card to show you that I created using stamps from Technique Tuesday and Papertrey Ink. I used the masking technique to stamp my background. 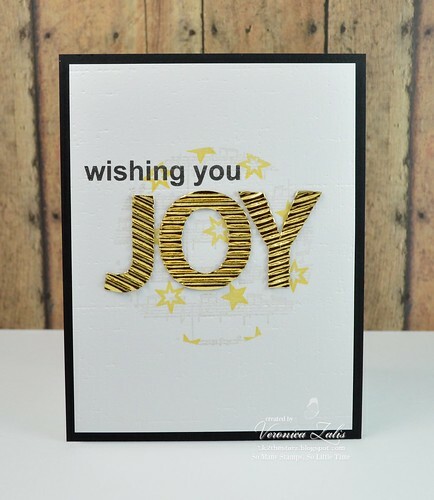 The fun gold letters are by Momenta. I added a little extra pop to my card by mounting my card on a black card base. I just love the way this card turned out! Thanks for stopping by and I wish you a year of joy and happiness! So very COOL!!! Happy 2014! !